When most people think of Herpes simplex virus type 1 (HSV-1), cold sores are envisioned. Occasionally, HSV-1 erupts in the eye, which is called Ocular Herpes. Ocular Herpes usually heals without damaging the eye but is also a significant cause of blindness. Ocular herpes can be transmitted through close contact with an infected person, whose virus is active. 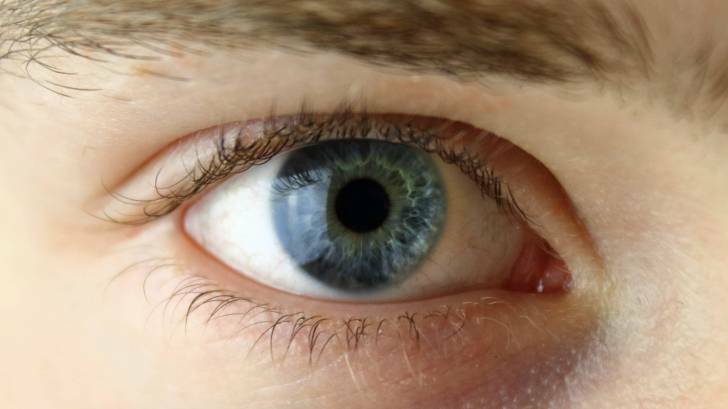 The National Eye Institute says an estimated 400,000 Americans have experienced some form of Ocular Herpes, with close to 50,000 new and recurring cases each year. Herpes keratitis is the most common form of eye herpes and is a viral corneal infection. Ocular herpes in this form generally affects only the top layer, or the epithelium, of the cornea, and usually heals without scarring. Stromal keratitis occurs when the infection goes deeper into the layers of the cornea and is thought to be caused by a late immune response to the original infection. Herpes retinitis or Iridocyclitis is a serious form of eye herpes where the iris and surrounding tissues inside the eye become inflamed. Iridocyclitis is a type of uveitis, and when this infection occurs in the retina, it is known as herpes retinitis. Since Ocular Herpes is very common, and there is not a preventive vaccine available, antiviral drugs are the best available treatment. Antiviral drugs, such as Zovirax, are used to block the virus’ ability to replicate. These drugs are nucleoside analogs, which look similar to DNA nucleotides but have a modification that interferes with DNA replication. But, herpes viruses are becoming increasingly resistant to these antiviral drugs. Recently, Dr. Deepak Shukla of the University of Illinois at Chicago investigated the antiviral properties of a molecule called BX795 in human cell lines and mouse models of ocular herpes. BX795 is known to block a molecule called TANK-binding kinase 1 (TBK1), which cells produce to protect themselves after an infection. These scientists expected that blocking this molecule would increase the amount of virus in the cell. They were surprised to find that the drug reduced herpes virus numbers. “The idea of gene-targeted therapy has been around for decades, but we have seen increased success over the last few years,” said Lauren A. Ragan PharmD, Clinical Pharmacist MTM and Immunization Specialist at Brookshire Grocery Company. “It allows for the possibility of new options for the treatment of illness by adding the ability of our own cells to fight infections, “ Ragan said. The team compared BX795 with an antiviral currently prescribed for herpes, called TFT (trifluridine or trifluorothymidine), in a human corneal epithelial cell line infected with HSV-1. They found that both treatments reduced HSV-1 infections in the cells to a similar degree. They saw similar results when they compared the two drugs in a mouse model of ocular herpes. When BX795 and TFT were applied to human corneal epithelial cells together, they did not show synergistic effects. The researchers also compared BX795 with several other herpes antivirals, including acyclovir, famciclovir, ganciclovir, and penciclovir. BX795 was similar or better at suppressing herpes infections in human corneal epithelial cells than any of the other antivirals—and at lower doses. Using protein and gene analysis, the team discovered that BX795 works by blocking viral protein synthesis through Akt, a host cell molecule required to start protein synthesis. BX795 also reduced HSV-1 protein levels in primary human corneal cells and human cornea buttons. “We have needed alternative drugs that work on new targets for a very long time because patients who develop resistance to nucleoside analogs have very few good options for treating their infection,” said Dr. Shukla. “However, more studies are needed to determine BX795 effects on other viruses and to understand its effects in people,” said Dr. Shukla.